Now that Japan's SoftBank has raised its bid for 70% of Sprint by $1.5 billion to $21.6 billion, the question on the mind of SoftBank's investment bankers, industry analysts and Wall Street traders is, "What will Charlie do?" The Charlie in question is none other than Charles Ergen, the CEO of Dish Network. Ergen's desire to start a new mobile carrier has put Dish in the middle of two takeover battles with each offering the prize of wireless spectrum with which Ergen can start to piece together his dream. Nearly 6 months after SoftBank offered $20.1 billion for 70% of Sprint, Ergen lobbed in a $25.5 billion offer for the whole company. The problem is that by waiting those 6 months, SoftBank had a huge head start to arrange financing and get regulatory approval for its deal. Dish has neither, but yet scared SoftBank so much that two days before the original date of the Sprint stockholder vote, it got the Japanese telecom to raise its bid. 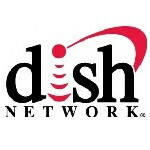 So does Dish quietly slink away from here, or does it raise its bid? While Dish might not end up with the main prize, it does seem ready to pick up the consolation prize in network wholesaler Clearwire. Sprint originally offered $2.97 for the shares of Clearwire it did not own. Dish topped the bid, forcing Sprint to go up to $3.40 a share. But Dish is now offering $4.40 a share for Clearwire. Is this a desperate move by someone who needs spectrum so bad that he can taste it? The "Ready, Fire, Aim" approach has Sprint stockholders a bit confused. "I'm not sure what Charlie Ergen wants," said one Sprint shareholder. "When he raised that bid for Clearwire, it became very unclear. He lost credibility about his intentions toward Sprint." The Sprint stockholders vote is now scheduled for June 25th instead of tomorrow. While this gives SoftBank a chance to make sure that institutional stockholders will vote its way, it also gives Charles Ergen a little room to do the dramatic. Just because Sprint has pulled back from talking with Dish, stockholders have one master and a higher bid combined with a financed tender offer could turn things around once again. What will Charlie do? He has a June 18th deadline to come up with a fully financed offer. Not really. As SoftBank said yesterday, the extra $1.5 billion is coming from the money earmarked for Sprint. Alan F.
so, less money for Sprint, but more money to bribe share holders with? Pretty much, to be fair...should you expect anything less from shareholders? Of course they want as much money as they can get for their shares. I still wish that Softbank could have gotten the original offer through, that one is better for consumers. Though this new offer is still far better then Charlie's offer was. And I have a feeling Softbank will be happy to help pay to finish Network Vision 1.0 and 2.0 Masayoshi Son wants to be one of the big players in the wireless industry over here. I wouldn't be surprised if he has plans for more acquisitions here (T-mobile) and abroad. He is a very ambitious man it seems. Charlie is in the trees!